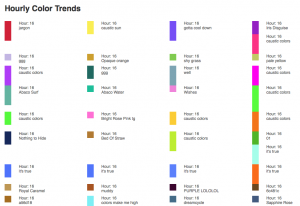 Subject: A tool for designers to identify micro-trends in colors. 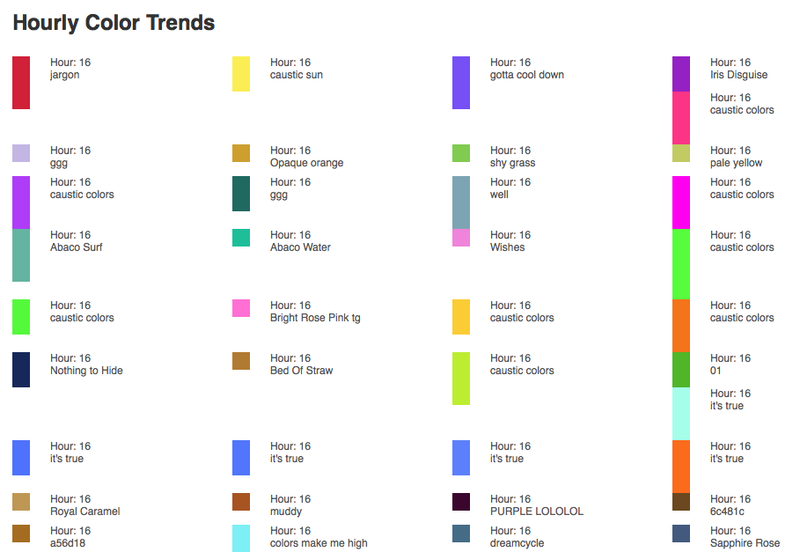 Data: I found out ColourLovers has a pretty clean API. Subject: A web component for the Advance App, a personal data tracking and reccomendation system developed to promote decisive and productive behavior with technology. Design Comp: A reinterpretation of the UI from the app.